If you’re considering renovating your bathroom or just want to rejuvenate the interior a little, investing in new bathroom taps can really make all the difference. Whether you have a contemporary or traditional bathroom, there are far more tap choices than just classic chrome taps, and you can now choose from a range of bold materials and colours that will make your bathroom really stand out. 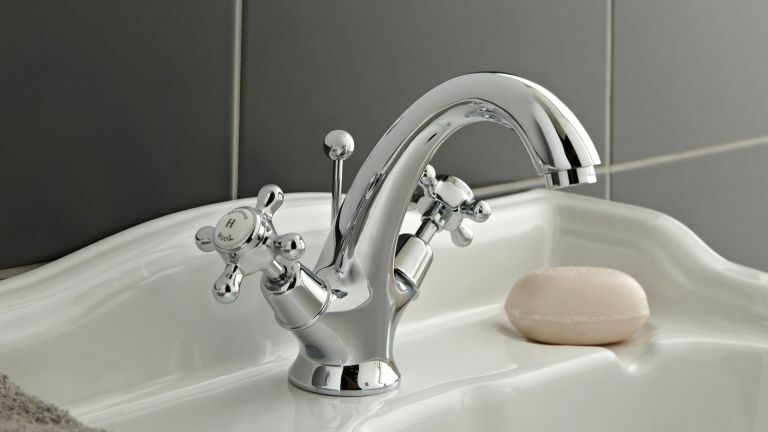 When considering which bathroom taps are best for you, it’s not all about style, but practicality, too. If you’re completely renovating your bathroom, then you’ll be able to start from scratch and choose whatever faucet type you’d prefer, but if you’re just replacing your taps to spruce the place up, the easiest way to do this is to pick the same installation type as the existing faucets. A centre-set tap is the most traditional. This has a centre unit with two taps to control hot and cold water. A single-hole faucet is a single unit and handle that controls both the hot and cold water from the tap. Finally, a wall-mounted faucet is, as the name suggests, installed into the wall. These are commonly found in baths or wider sink basins rather than a standard sink, because they tend to have higher arching spouts. Whatever style you’re considering, take a look at our round up to see what might be the best suited to your bathroom. We’ve picked out a range of styles, installation types and finishes to give you some bathroom inspiration. This wall-mounted bathroom tap features one-handle control of both hot and cold water and a single horizontal tap for water that flows directly downwards. This type of faucet would be best suited to a bathtub or a larger basin as the exit height is non-adjustable. This is a minimalist design with a polished chrome finish and round edges which are favoured by those with contemporary bathrooms, and the flexible tail pipes are designed for quick and easy installation. If you’re looking to make some subtle changes to your bathroom, this wall-mounted faucet could be the feature you’re looking for. If you’re more of a fan of traditional styles that minimalist modern fixtures and fittings, then these Georgian-style bathroom taps could be the finishing touch your bathroom needs. This is a centre-set faucet with two small and elegant taps which allow you to control the hot and cold flows separately. The chrome is polished and finished with white handles and indicators of which is hot and which is cold. The tap has a slight arch with an anti-splash spout and the curvaceous features only add to the aesthetic appeal of this bathroom tap. One thing to note is that customers found the instructions a little lacking for these taps, so you may require a professional to install them, or a lot of patience at least! Bathroom fixtures and fittings don’t always have to be chrome, and this brushed nickel tap is the perfect example. It is a single-hole faucet with a high-arching spout; a design which would work well with bathtubs or custom sink basins. Customers say this bathroom tap was a breeze to install and the handle transitions smoothly from hot to cold when needed. Users have commented that due to the colour and finish of the taps they retain fingerprints quite easily, which may be a deal breaker for those who hate cleaning the bathroom. Some have suggested a wax to finish these taps would help retain their looks for longer. If you have low water pressure in your bathroom then this tap is for you. The centre-set faucet is designed to accommodate low-pressure systems and it is also loved for its elegant Victorian design. The high arching tap, china handles and smooth, polished edges are a popular choice for both contemporary and traditional bathrooms, so if you’re always changing up your style, you may find this tap is a timeless feature that will blend with your changing interiors. If you have a smaller cloakroom-style toilet then this small chrome tap may be a practical choice of installation. It is a single-hole unit with varying water pressure and a short spout which stops splashes in smaller basins. It may not have any specific aesthetic features, but the polished finish completes the smart and modern look and it is an affordable choice if you just need something reliable for your guest bathroom, for example. The Delta Lahara Faucet comes in three different finishes which cater to different interior styles, making this tap a popular choice for both modern and traditional homes. The high arching spout means a seamless water flow that allows baths to be filled with ease, and two handles to control the temperature of the water. Customers have said they take a little bit of assembly but it’s worth it for the finished look, they do tend to get a little noisy when running on cold after a while, which isn’t such a problem if you’re installing them in your sink as opposed to the bathtub. Perhaps you’re sick of that leaky tap in your downstairs bathroom or you want to find a quick way to update an old-fashioned bathroom. If so, then these traditional bath taps are basic but reliable. The handles are clearly marked with hot and cold and the chrome is polished for a smart finish. The tap has a low arch with a short spout which means they can be fitted to any size and style of basin without risk of splashing. You can expect varied water pressure and no leakages with this bathroom tap.